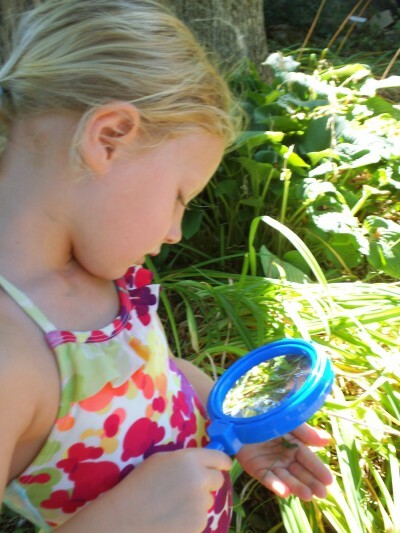 Built in 1970 with a unique design to serve the needs of today’s children, Montessori Children’s House of North Barrington serves the educational needs of children between the ages of birth and six providing Half Day and Full Day programs that run year round. 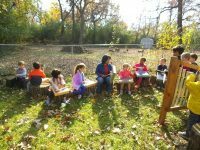 The school is located on a 3-acre wooded property, scattered with giant oak trees and naturally was the perfect space for an Outdoor Classroom. 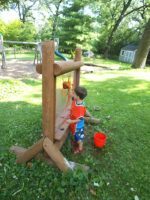 Our goal, being a Montessori school, was to maintain continuity from the indoor classroom to the outdoors, thus extending the child’s learning experiences and his awareness of himself and the world around him. The Outdoor Classroom areas are mostly along the perimeter of the schoolyard with ample space between each area allowing for freedom of movement. 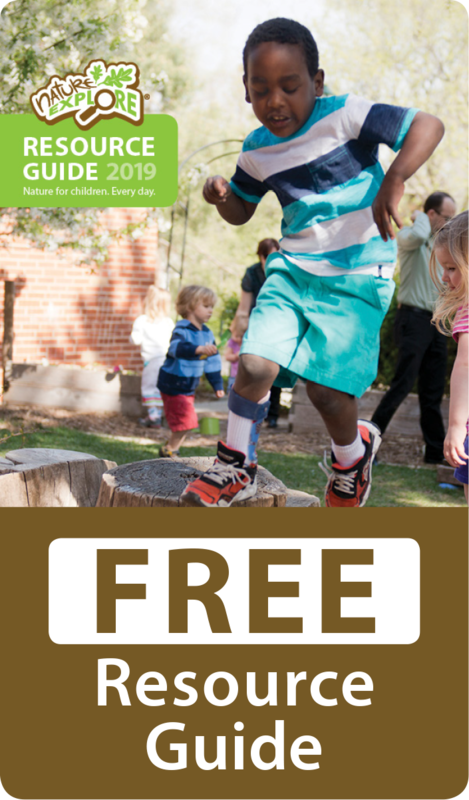 The grassy play yard includes areas that receive abundant sunshine as well as areas of shade, provided by the oak trees. The grant-funded Rain Garden and Butterfly Garden are flourishing with native Illinois plants of different colors and textures all planted in a visually appealing arrangement. The vegetable garden provides a variety of produce in the summer. Springtime brings an abundance of spring flowers providing color and beauty to our surroundings and a wonderful sensory experience for the children. The patio area in front of the school building is organized with planters holding herbs and a selection of fragrant annual plantings. Nature is further brought to life with the chickens that the children care for daily. The chicken life cycle has been experienced from incubating the eggs to the hatching of baby chicks, to their ongoing care. 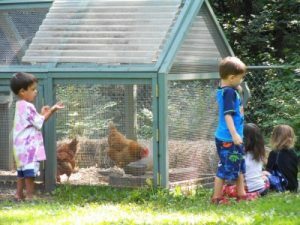 The children assist in caring for the chickens by feeding, watering and collecting the eggs. Bird feeders are available to a variety of native birds that are frequent visitors. Our Outdoor Classroom incorporates many natural materials designed to be low maintenance and chosen for durability throughout all four seasons. The beauty and aesthetics that are essential in the Montessori philosophy were maintained in the classroom utilizing the soothing earthy colors of nature incorporated in the overall layout with the abundance of natural materials and plants spread throughout the Outdoor Classroom. wonderful parents for their donations and efforts in securing funding for the Rain and Butterfly Gardens as well as the glockenspiel for the Music and Movement area and the outdoor easel for the Nature Art area. Montessori Children’s House is a certified Wildlife Habitat and Bird Friendly Habitat by the National Wildlife Federation, designated as a Schoolyard Habitat Site by the Illinois Department of Natural Resources, certified and registered by Monarch Watch as an official Monarch Waystation, and a certified Eco-Friendly Landscape by the Barrington Area Conservation Trust.